Imagine enjoying the credibility of being a Certified SEO Copywriter for less than the price of a latte a day. The SEO Copywriting Certification training teaches you the specialized knowledge you need, in a fun, supportive environment. Words like “Google’s Content Quality Guidelines,” “analytics bounce rates” and “Schema” won’t scare you. You’ll breeze through keyphrase research projects and confidently suggest new content strategies. Yes, even if you’re a newbie. You CAN learn and master SEO Copywriting in easy, bite-sized chunks. And I can help you, too — even if you only have a few minutes a day to spend on the training. The SEO Copywriting Certification training is a self-directed, online training platform available 24/7. You’ll have access to eight continually updated training modules (over 130 pages) teaching you the latest SEO content writing techniques – step-by-step. Easily write content your readers (and Google) love! Take as much time as you need to finish the training — there’s no rush. You’ll learn how to review a site, make targeted SEO content suggestions and develop a strategy for success. You’ll learn how to confidently research keyphrases and choose the best ones for a site. Plus, you’ll have access to over 100 hours of video and downloadable mp3s discussing PPC, advanced SEO strategies, sales writing strategies and more. You’ll gain so much knowledge, you can go from being “just a writer” to an SEO content strategist with a seat at the table. Most importantly, you can learn on your schedule. Take as much time as you need to finish the training — there’s no rush. Get your SEO writing questions answered for life! You’re not just purchasing an online training. You’re joining an engaged, supportive community that’s ready to help solve your problems and share your successes! Plus, you won’t have to worry about keeping up with Google’s latest and greatest –I’ll keep you in the loop and share what you really need to know. Have a question about a writing project? Ask it during a training call. Wondering what Google’s latest update means to your writing strategy? I’ll set up a special training and let everyone know. There’s even an exclusive, student-only Facebook group. In-house and freelance copywriters from all over the world have turned to the SEO Copywriting Certification training as their one source for reliable SEO writing information. And now, you can too! In-house and freelance copywriters from all over the world have turned to the SEO Copywriting Certification training as their one source for reliable SEO writing information. Yes, SEO copywriting is complex. But it’s fun, too! Don’t worry, I’ll lead you through every step of the way! Plus, unlike other online training programs with hefty annual renewal fees, one payment gives you lifetime access to all the updated materials! You’ll have access to over 100 hours of video and downloadable MP3s discussing PPC, advanced SEO strategies, sales writing strategies and more. Learn when it’s convenient for you. Go through eight exclusive SEO Copywriting Certification Program modules — over 130 pages, available 24/7! Plus, you can download four years worth of recorded educational podcasts and Webinars – with more added each month so you have the latest insights. Lifetime access means you can relax. Fit the training in when you have time — the lessons are always there and waiting for you. When something changes in the industry, I’ll update the materials and let you know. Count on learning directly from me, with a little help from some of the best in the business. I’m the one presenting the videos and podcasts. I personally answer my emails, and I’m totally committed to your success. The SuccessWorks SEO Copywriting Certification training is the only SEO copywriting training endorsed by SEOpros.org, TopRank Marketing and American Artists and Writers’ Institute. People from all over the world have taken the training, including copywriters from the U.K., Germany, France, Australia and Switzerland. I’ve outlined all my secrets – the secrets that took me over 17 years to learn – in my SEO Copywriting Certification Program. I can’t wait to teach you, too. 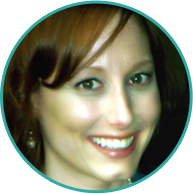 Let me help you master your SEO copywriting knowledge! For just $995, you’ll learn how to write sizzling optimized pages that convert like crazy. I even offer a payment plan so you can pay over time, or pay all at once for the $995 discounted price. Remember, I’ve outlined all my secrets – the secrets that took me over 20 years to learn – in my SEO Copywriting Certification Program. I can’t wait to teach you, too. I can’t wait to share my SEO copywriting strategies with you! Please let if any questions pop up. I’m happy to help! Give me a call at (503) 476-1065. I’m happy to answer your questions. P.S. 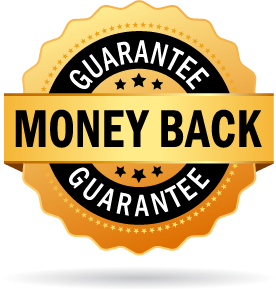 I’m so confident you’ll love this SEO Copywriting Certificate Program that I’m offering you a 72-hour, no-hassle, money-back guarantee. Take a good look at what the program has to offer. If you don’t like the program and let me know within the first 72 hours, I’ll refund your money — no questions asked. You have nothing to lose — it’s risk-free! Don’t delay your success any longer!